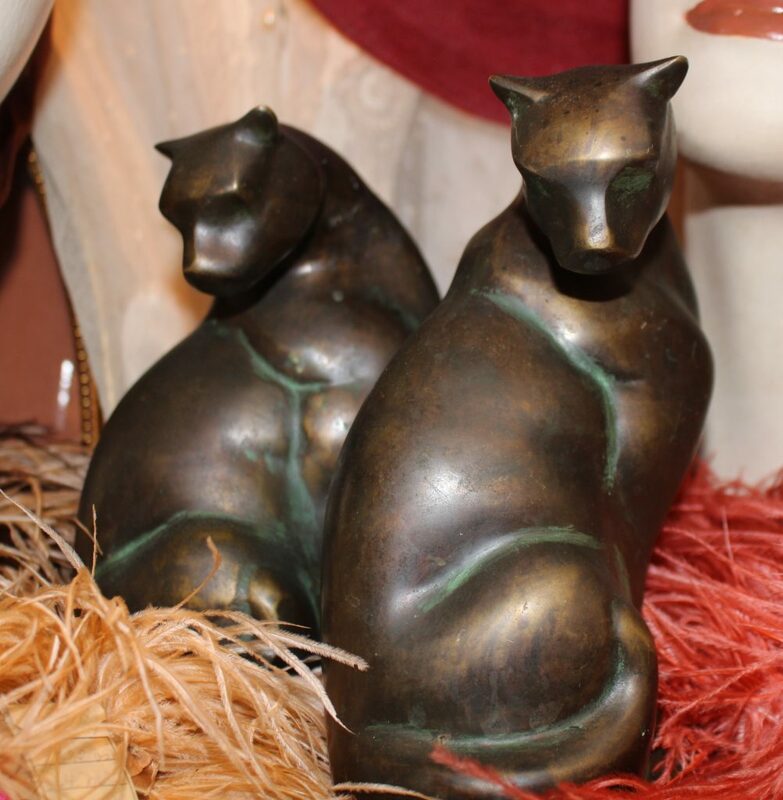 These antique bronze cat bookends have a modern sculptural aesthetic. No mark. Beautiful condition with original patina.